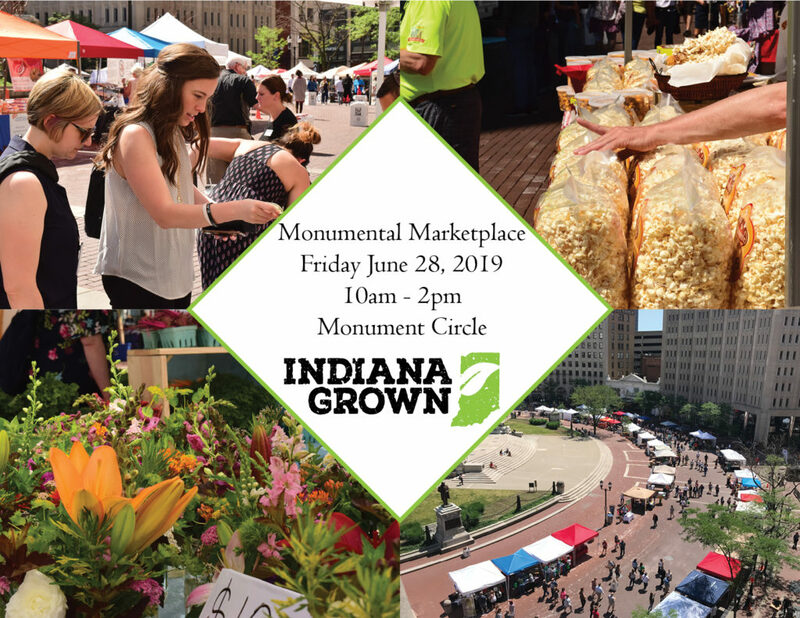 On June 28, more than 150 farmers, artisans and Indiana-based businesses will be returning to Monument Circle for Indiana Grown’s 3rd annual Monumental Marketplace. Located downtown Indianapolis from 10:00 a.m. to 2:00 p.m., this pop-up market will feature everything from locally-grown food and drinks to homemade wares and food trucks. Attendees will be able to sip, sample and shop from an assortment of Indiana products, as well as support the farmers and businesses behind them. The event is free to attend and open to all, so mark your calendars and come have lunch with us on the Circle. Visit www.indianagrown.org for more information about Indiana Grown and its members. Indiana Grown is administered by the Indiana State Department of Agriculture in partnership with the lieutenant governor’s office. The initiative educates consumers on the importance of buying Indiana Grown products, helps Indiana farmers and producers sell more products and supports Indiana processors in their effort to process more Indiana Grown products. Indiana Grown members and partners include farmers, producers, processors and artisans, as well as retailers, grocers, hospitals and restaurants. For more information, visit www.indianagrown.org. New Members are Springing Up!